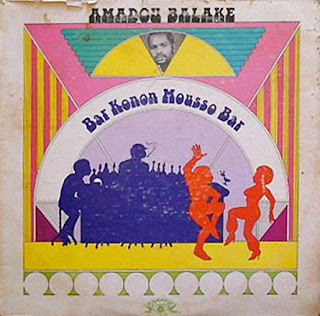 Amadou Traore dit Balake is a burkinabé singer who recorded many songs from very different genre (mandingo rhythms, afrobeat, salsa, quiet balads, soukouss) and in many countries/cities all over the world (New york, Abidjan, Paris, Accra, Lagos..). This beautiful 7 inch was recorded in 1969 with l’Orchestre Super Volta, in the country of Burkina Faso, on the great “La Compagnie Voltaique du Disque” label (CVD), known for its magical psych tracks. This track deals with a musician (him, maybe ? ), who performs every night at the Don Camillo Club. Each night, coming back from his show, this guy meets the same prostitute he is totally in love with, but the girl prefers to spend her night with white guys in Abidjan’s hotels, because they are rich, and musicians are poor (“Musicien c’est pas quelqu’un, tu es pauvre garçon”). 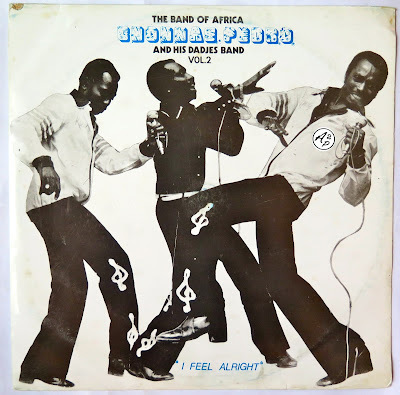 There are actually 2 different versions of this track (the lyrics are the same), because Amadou re-recorded it in the 70’s for one of his LP’s, out on the famous Ivory Coast’s SACODIS label, in an afrobeat way. I definitely prefer the first quiet version, hope you’ll understand why (listen to this amazing hypnotic guitar..). Amadou is still alive, and plays now with the famous Africando salsa band. 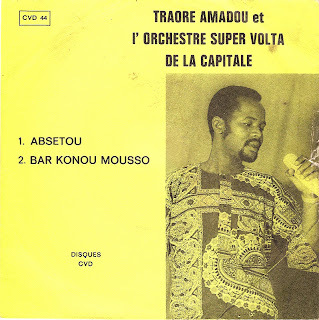 To begin, here comes the other version of Bar Konou Mousso – the Afrobeat one – called Super Bar Konon Mousso. 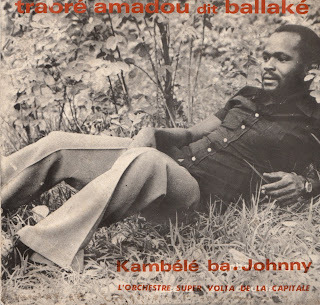 Next, another song from Amadou Traore out on the CVD label, Johnny. Following to this former article, I decided to make you (re)discover a cover of the classic French song “Les Comediens” (sung by the great singer Charles Aznavour) by my favourite Beninese singer Gnonnas Pedro, who was also a huge fan of Charles Aznavour ! Two of my heroes linked with the same song, hope you’ll like it ! 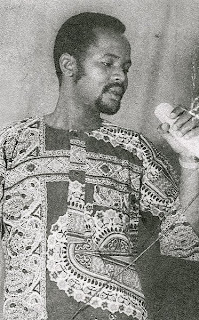 Gnonnas Sousou Pierre Kwasivi was born on the 10 of January 1943 in Cotonou, Benin. Singing and playing music since his childhood, Gnonnas Pedro became in the 60’s one of the Beninese musical Kings (among with L’Orchestre Poly Rythmo de Cotonou, Antoine Dougbe, Honore Avolonto or El Rego), and never stopped to play music beyond. He led his own band in the 60’s, “Pedro y Sus Sanchos”, that later became “Gnonnas Pedro et ses Dadjes”. Lover of the French language, he was strongly influenced by the French singer Charles Aznavour (he even recorded a cover of Aznavour’s song “Les Comediens” !). From the 90’s to 2004, he was the singer of the interplanetary known Afro cuban band “Africando”, grouping of African Legends such as Boncana Maiga, Amadou Balake, Thione Seck, Tabu Ley Rochereau, Ismael Lo, Salif Keita or Koffi Olomide. 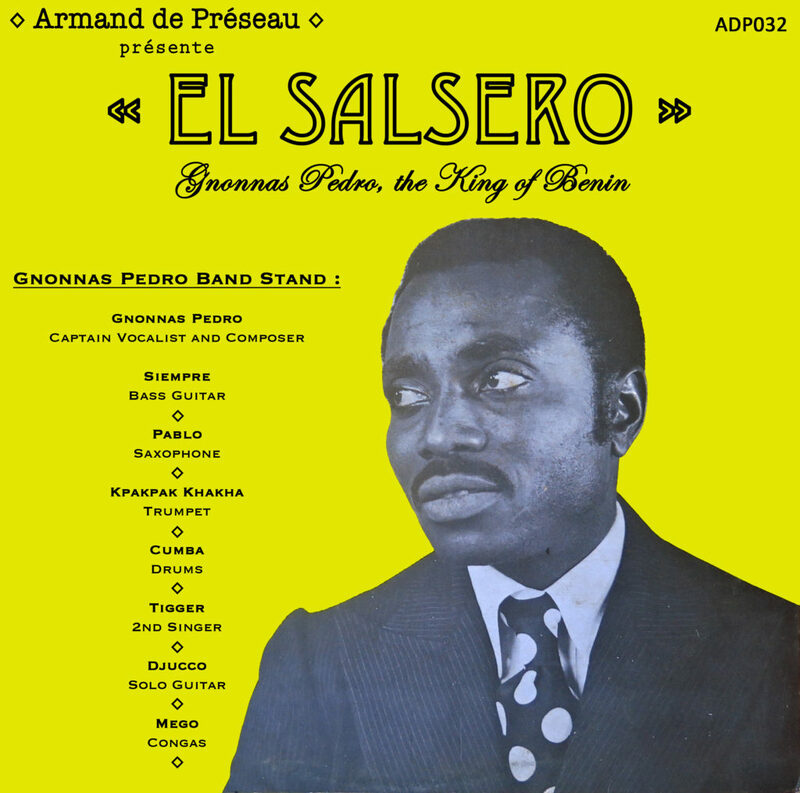 Known as “The man that speaks all African languages”, Pedro embraced many musical styles, including afrobeat, highlife, salsa, pachanga, juju or “Modern Agbadja” (an update og the traditional style of his home region, Lokassa). 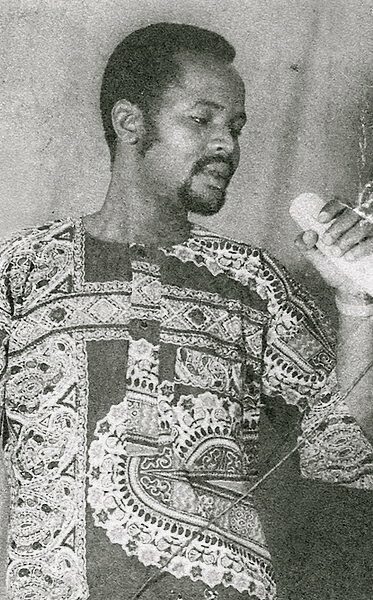 Many of the tracks he composed are still big hits today, such as “Yiri Yiri Boum” (Afro Cuban Anthem) or “Von O Von Non” (Hymn of the Togolese national football team). He died the 12 of August 2004, at the age in Cotonou, Benin. You can download this selection right here ! I tried to present you all different genre played by Gnonnas, don’t hesitate to tell me if you enjoyed this selection ! This selection is dedicated to Jean, my cousin, who with we listened Gnonnas albums again and again and again. Miss you and think about you everyday, my little brother..